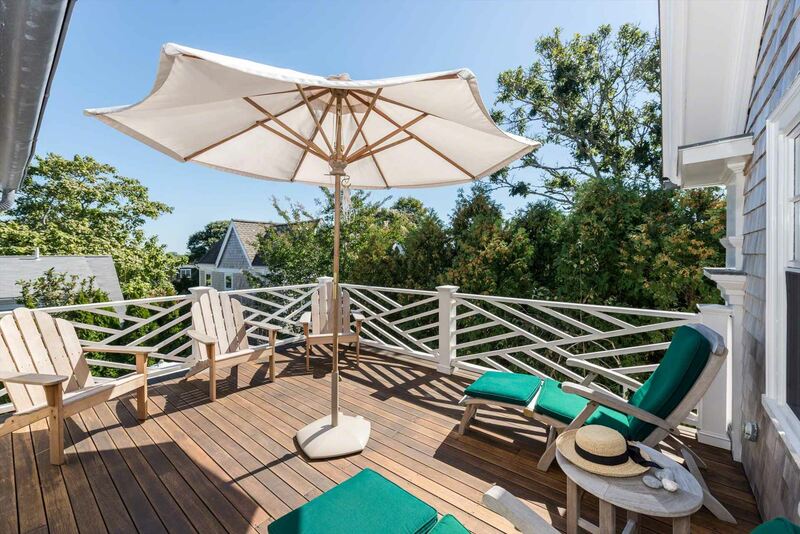 Point B Exclusive - Tucked away on a quiet Edgartown Village street, this luxury retreat has deluxe amenities and coastal styling throughout. 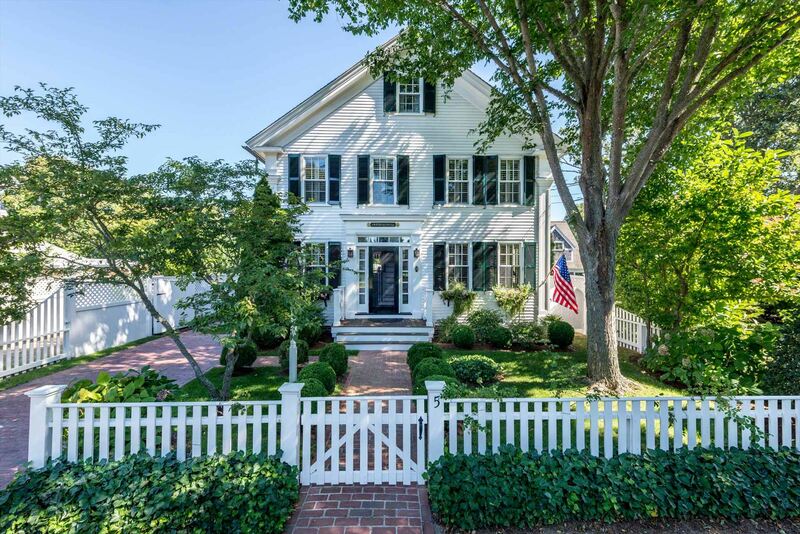 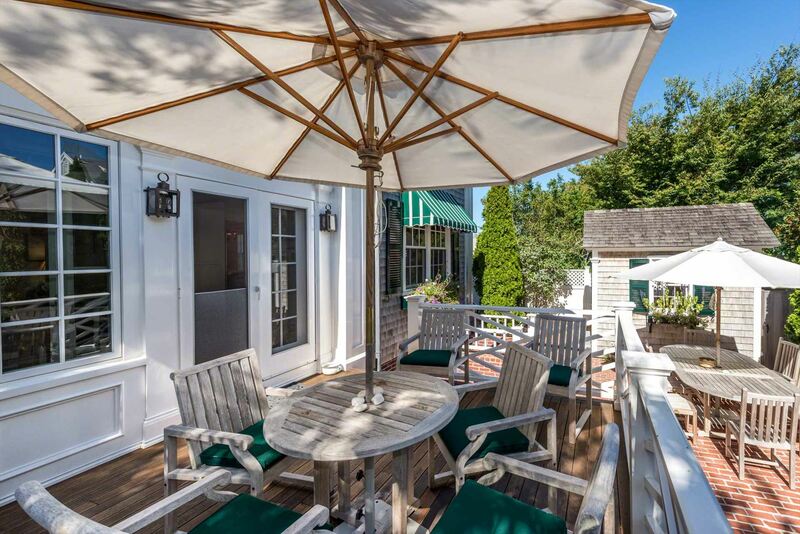 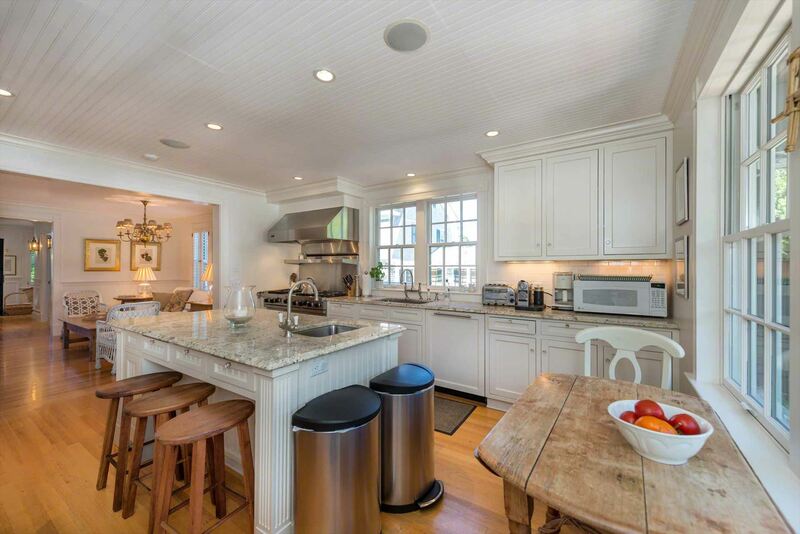 From its gentle hillside setting, there are distant water views of Edgartown Harbor, and a nicely integrated indoor and outdoor living design featuring multi-level decks and newly expanded patios. 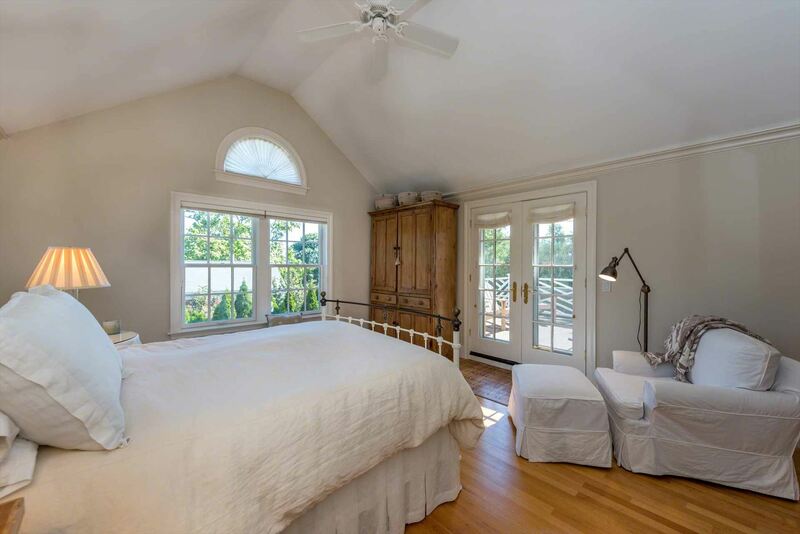 The open-designed first floor connects the main living areas with a comfortable flow through the Living Room, Dining Room, and Kitchen. 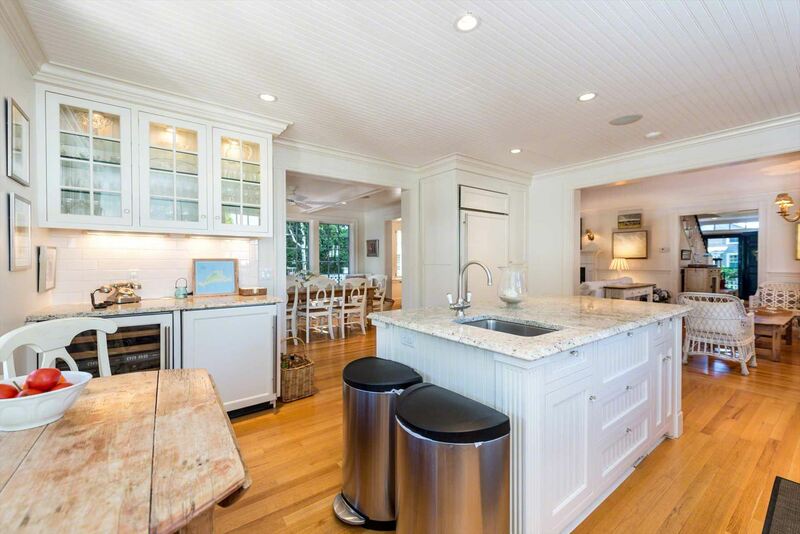 There are several different seating areas in the Living Room, while the fully-equipped Chef Kitchen has center prep island/breakfast bar, granite counters, stainless commercial range and top-of-the-line appliances throughout. 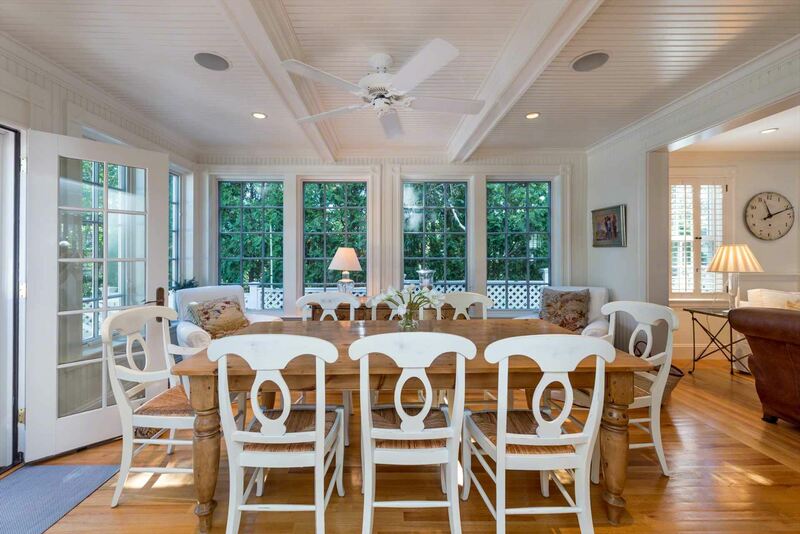 French doors from the Dining Room open to newly expanded, sunny, outdoor entertaining spaces, including a mahogany deck, and multi-section brick patio with dining and grilling areas. 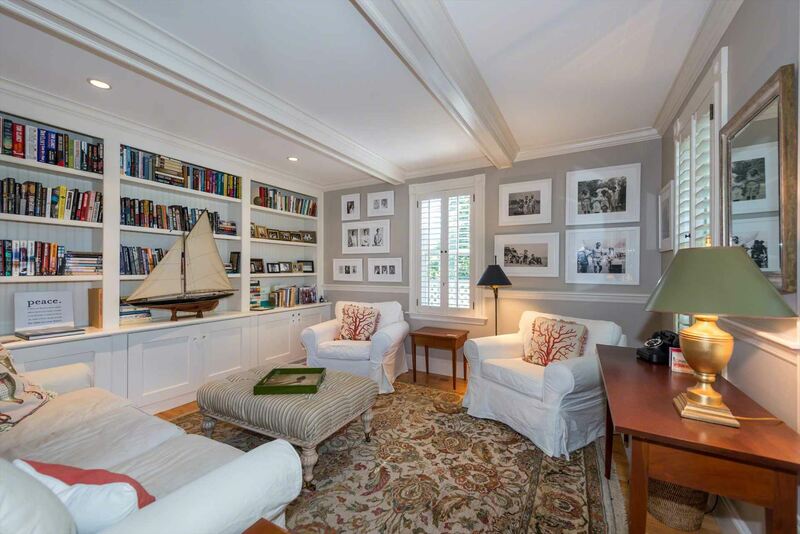 Back inside, the first floor also has a Library/Den for additional entertaining space, plus a full bathroom. 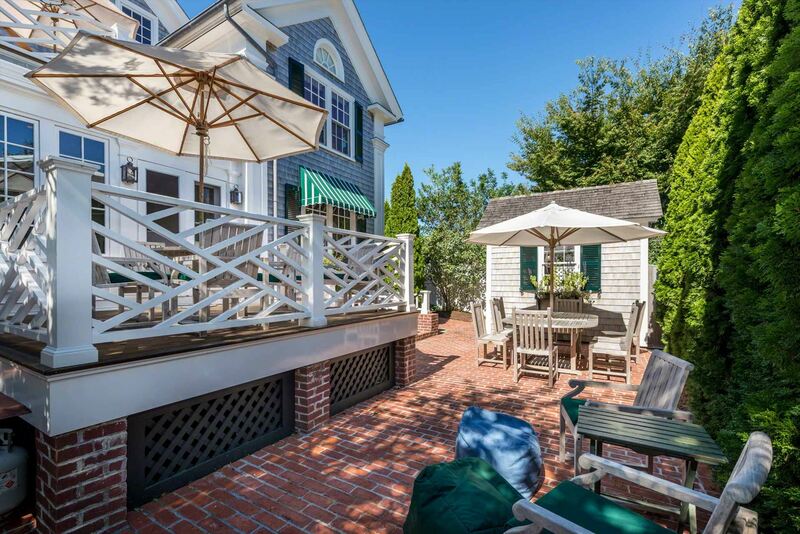 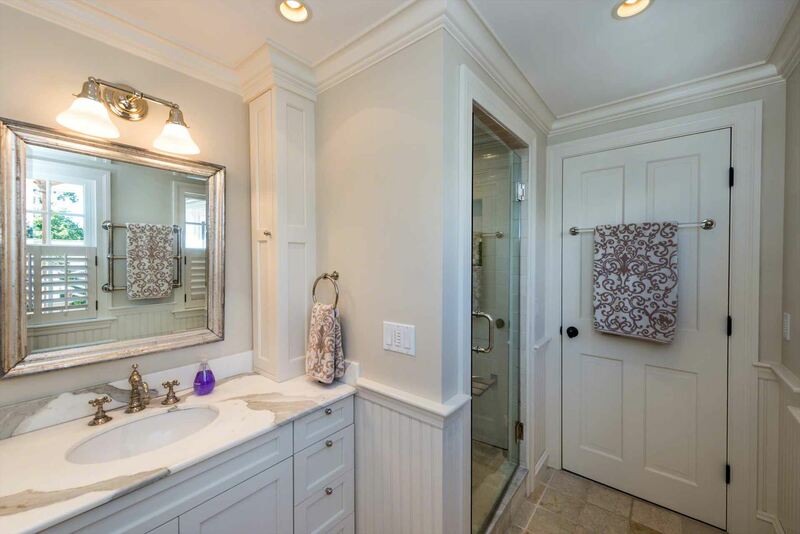 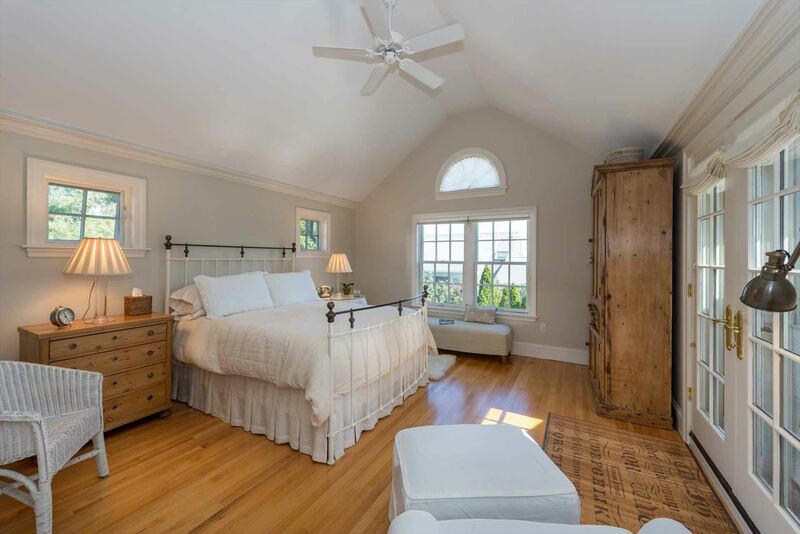 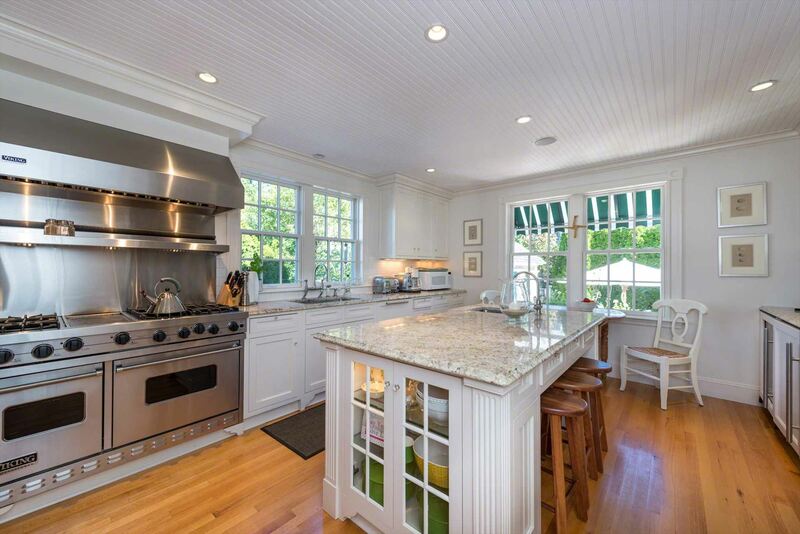 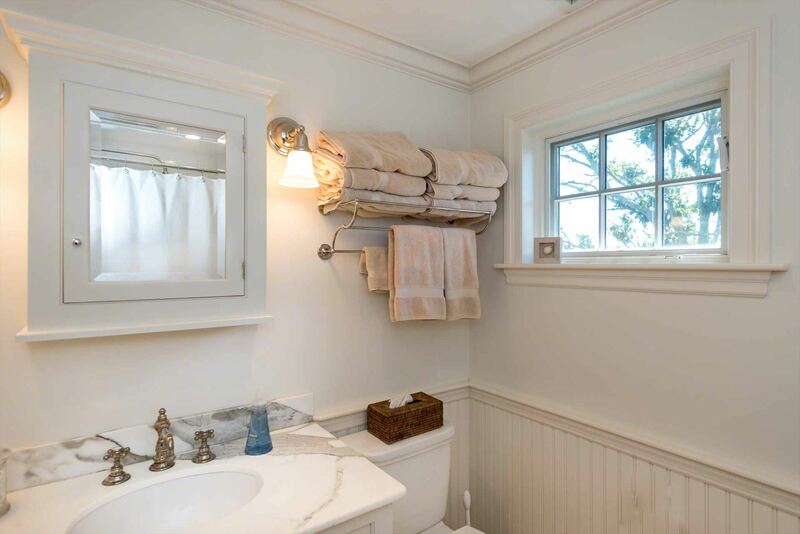 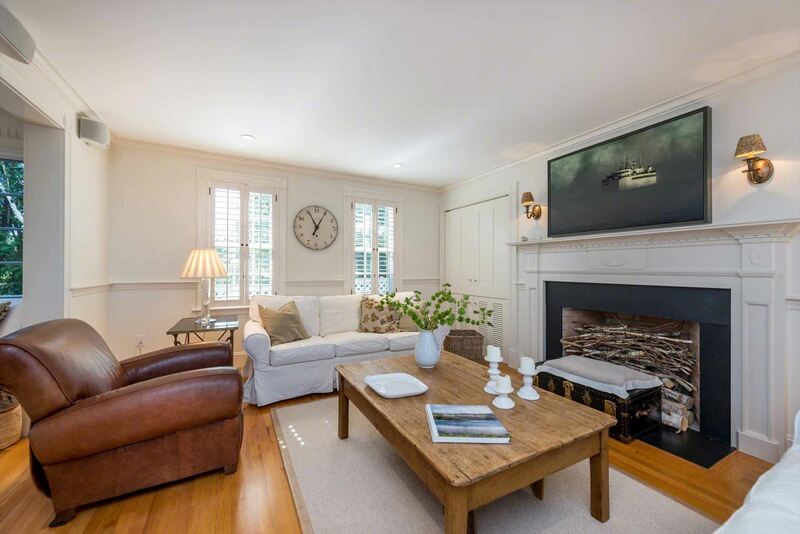 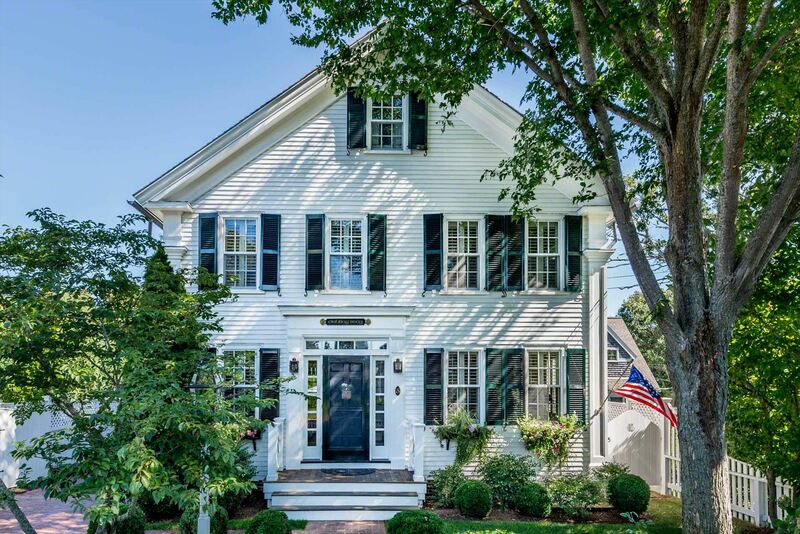 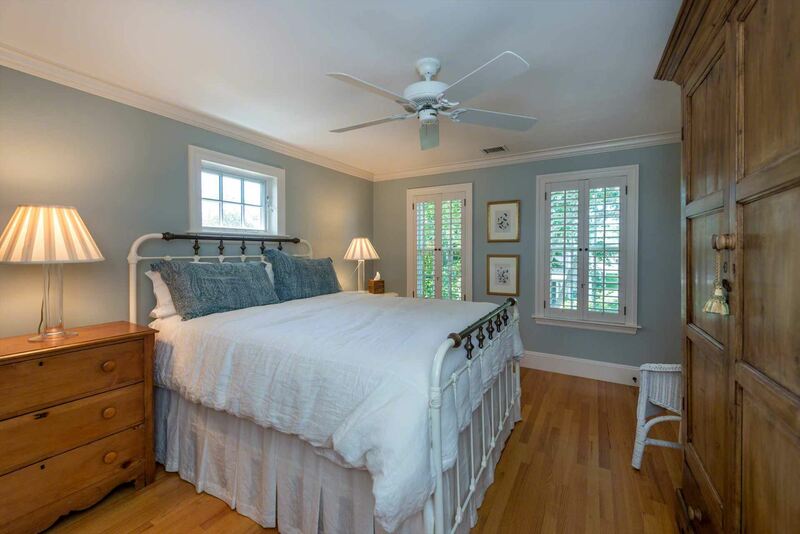 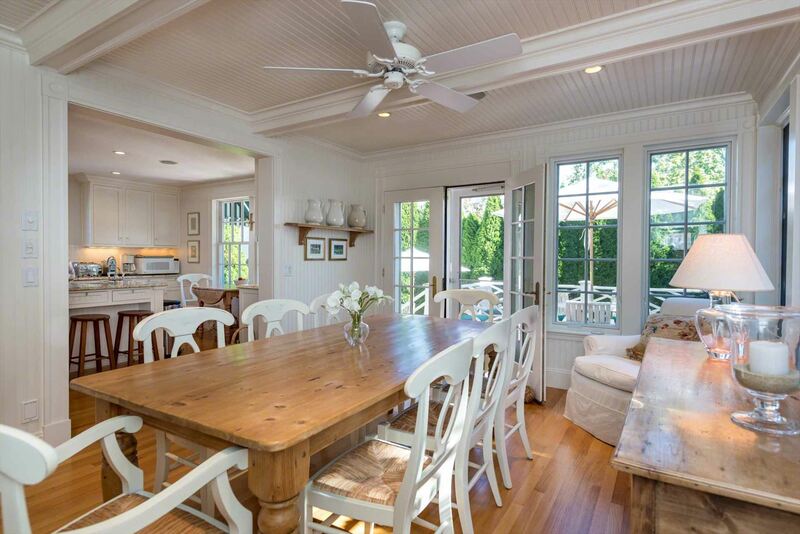 The second floor features a deluxe Master Bedroom Suite with vaulted ceiling, private bath, and French doors that open to sunny, mahogany deck that enjoys distant water views of Edgartown Harbor. 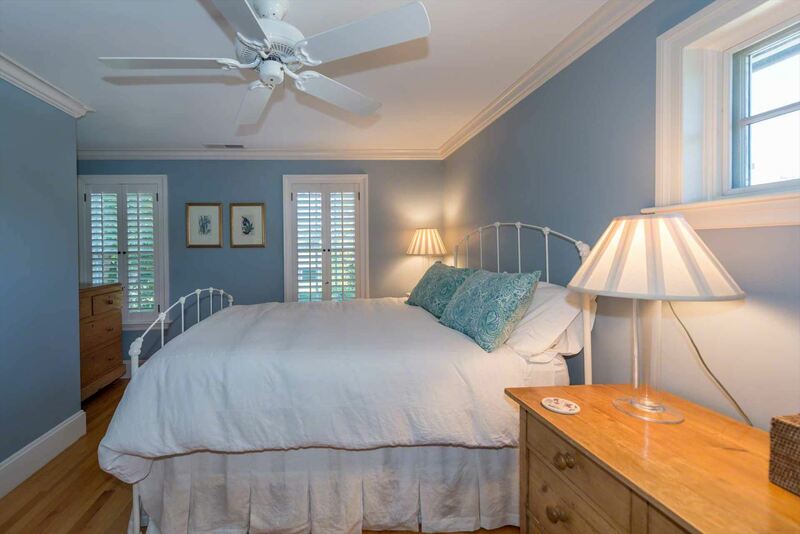 There are also two additional Bedrooms, a shared full bath, and a second laundry area on this floor. 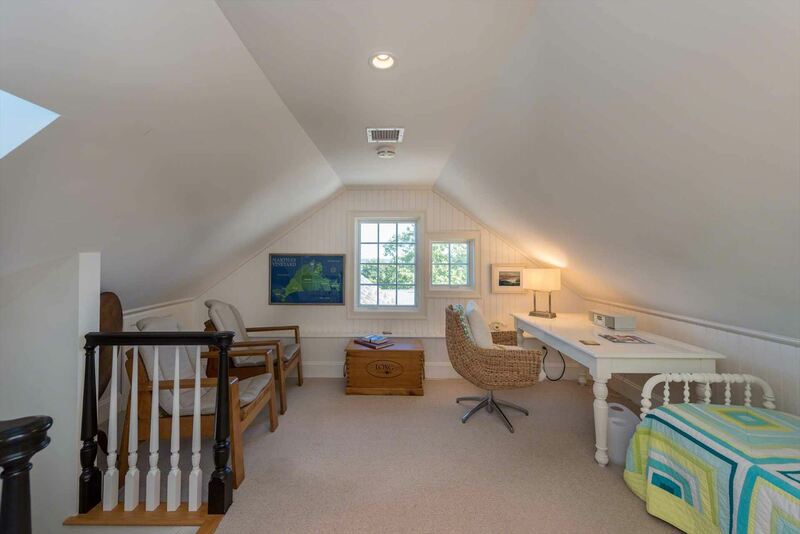 There are harbor views as well from the third floor Bedroom suite, which features a sleeping area, a sitting and work area, plus an en suite bath. 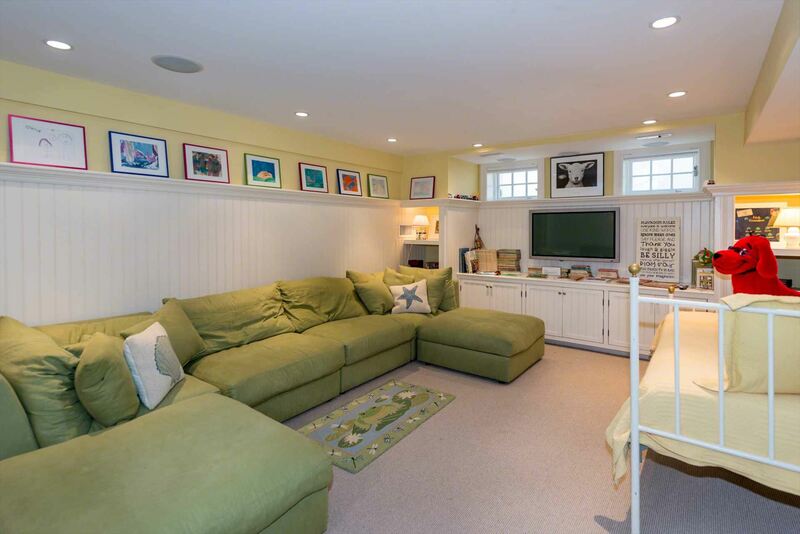 The fifth bedroom and a large TV/Family Room are located on the lower level. 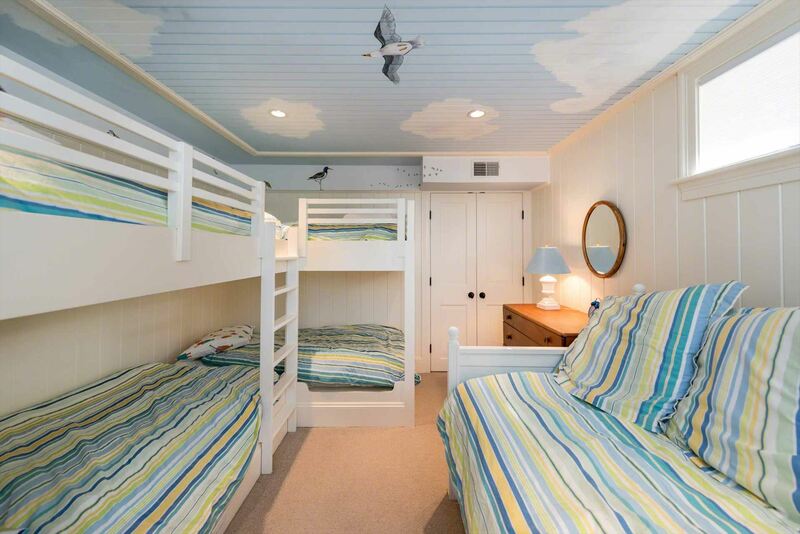 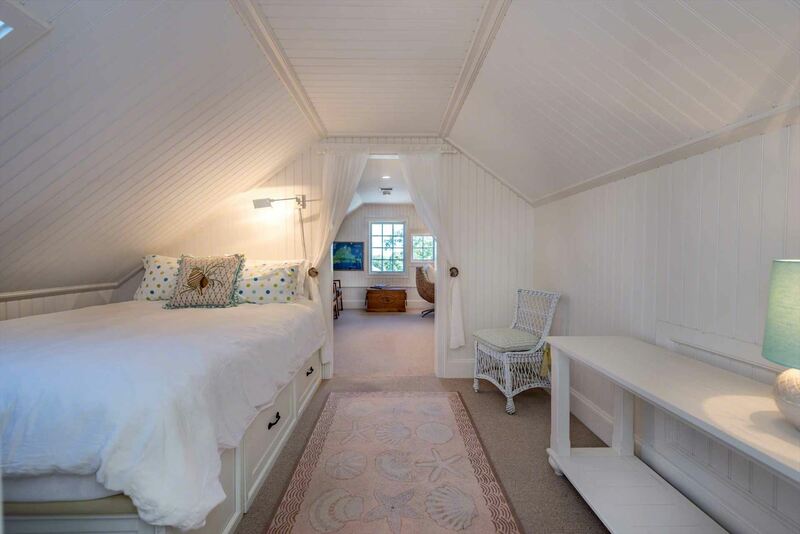 The whimsical Bedroom -- perfect for kids -- has a cloud mural painted on the ceiling, plus double bunk beds and a day bed. 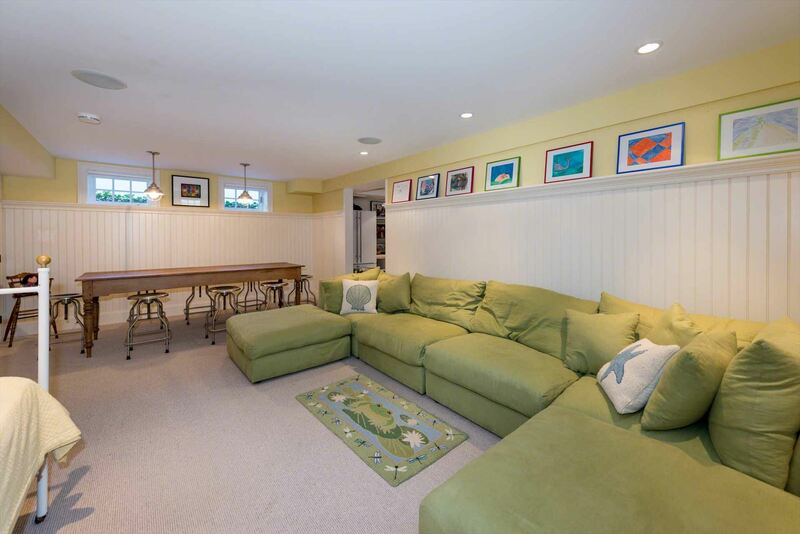 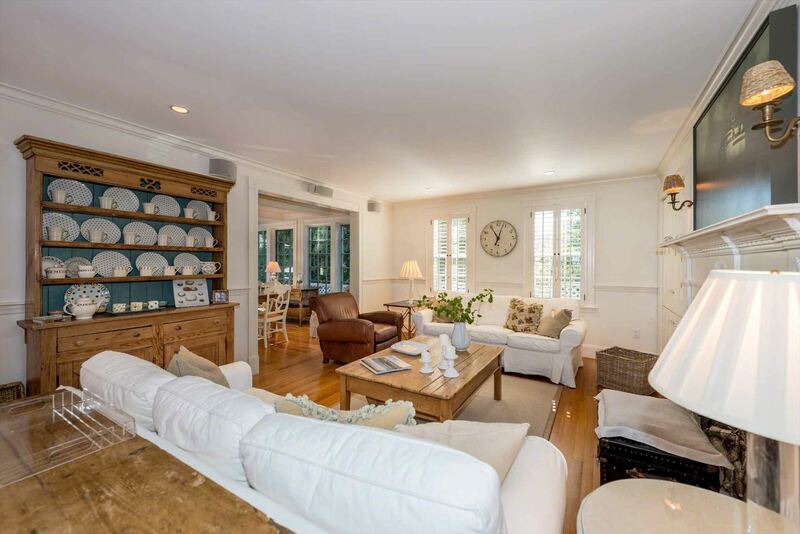 The TV/Family Room has sectional seating, media center, and a large table with stools. 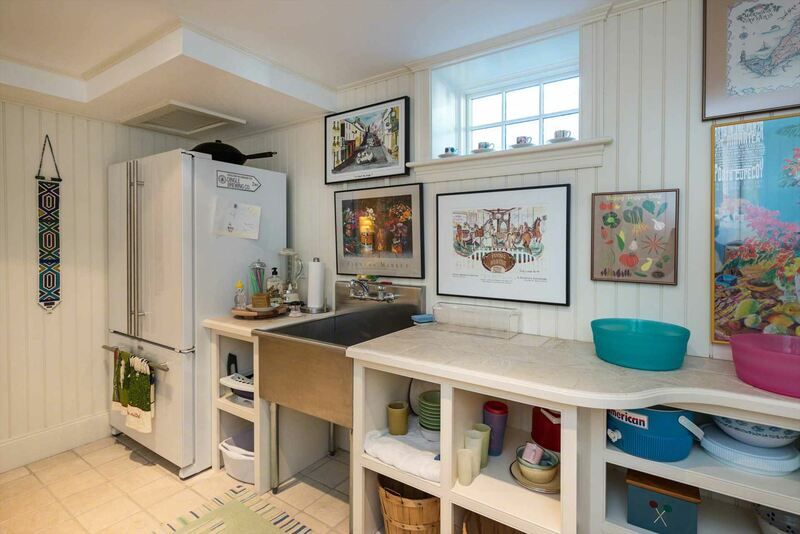 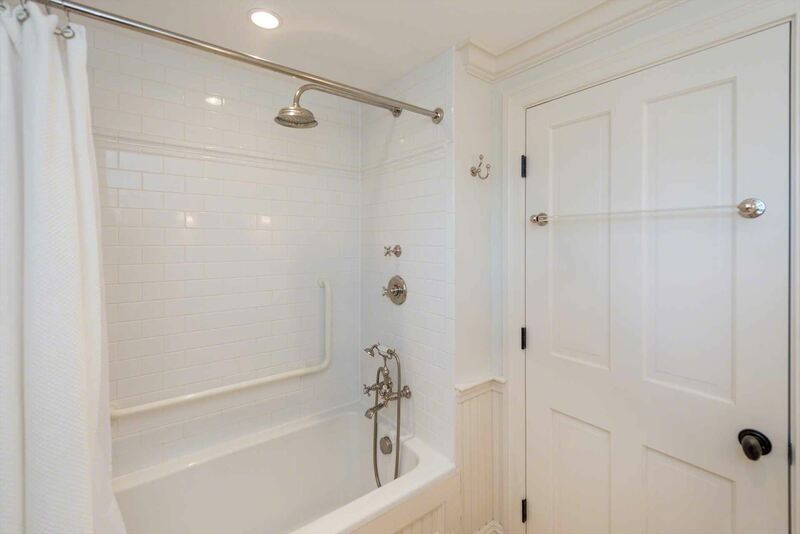 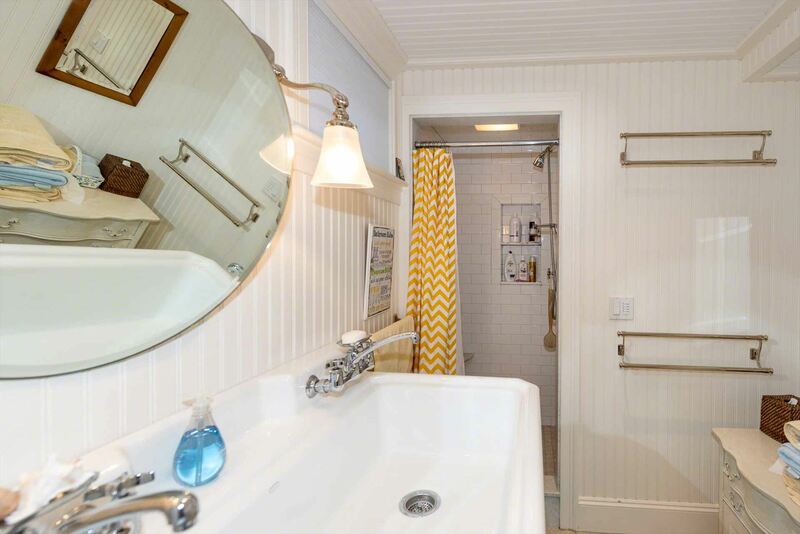 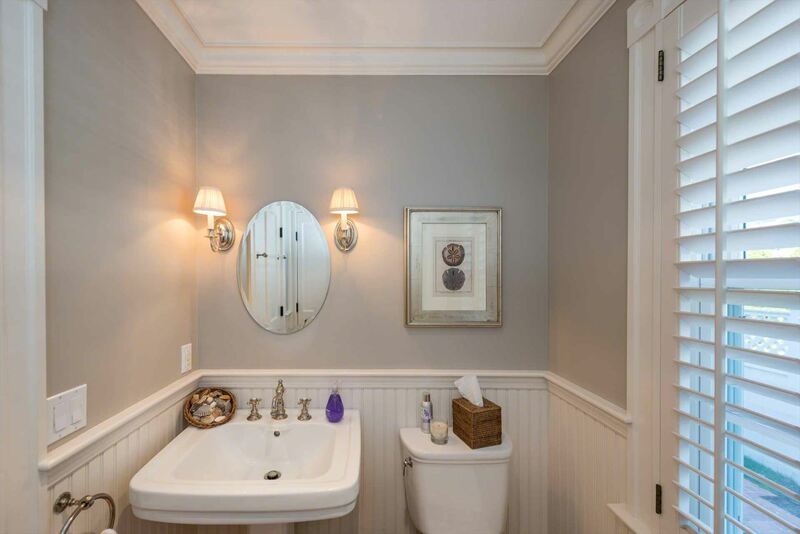 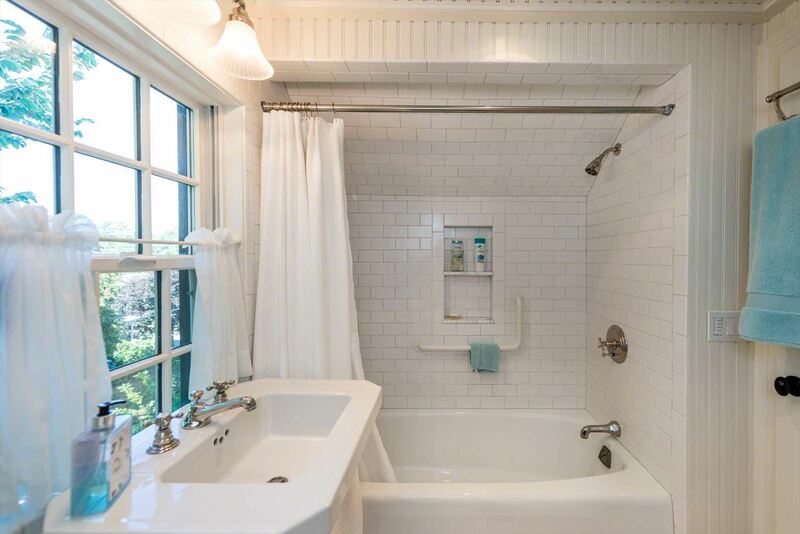 There is also a full bath with shower, plus a laundry room, second refrigerator, and stairs to the backyard patios. 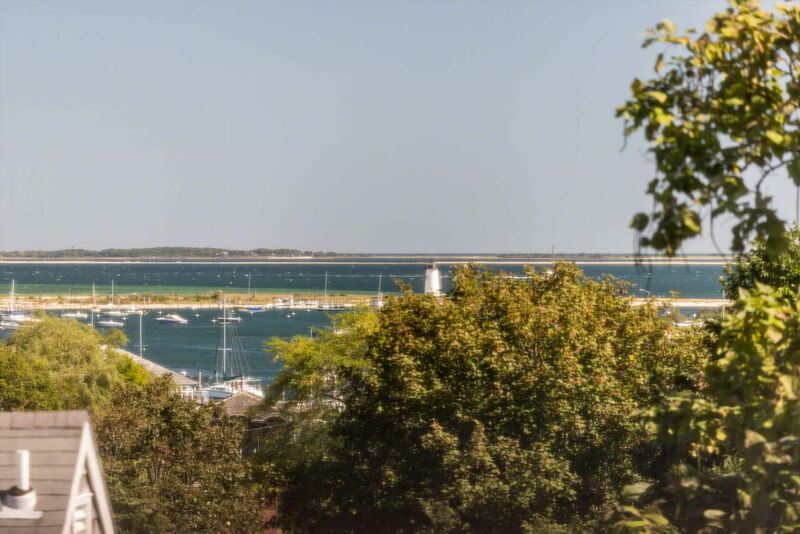 All of downtown Edgartown, with its restaurants, shops, harbor, and beaches, is just a short four or five block walk. 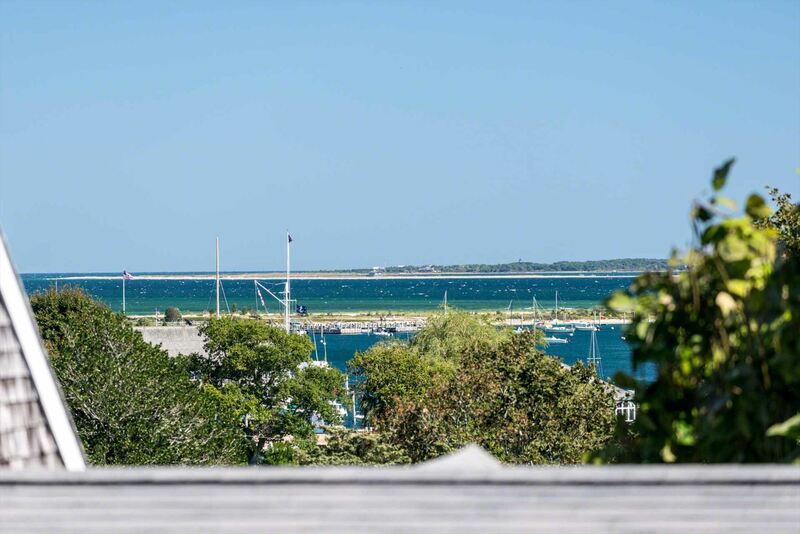 The bike path is nearby as well.